This resume is serious and well thought-out. 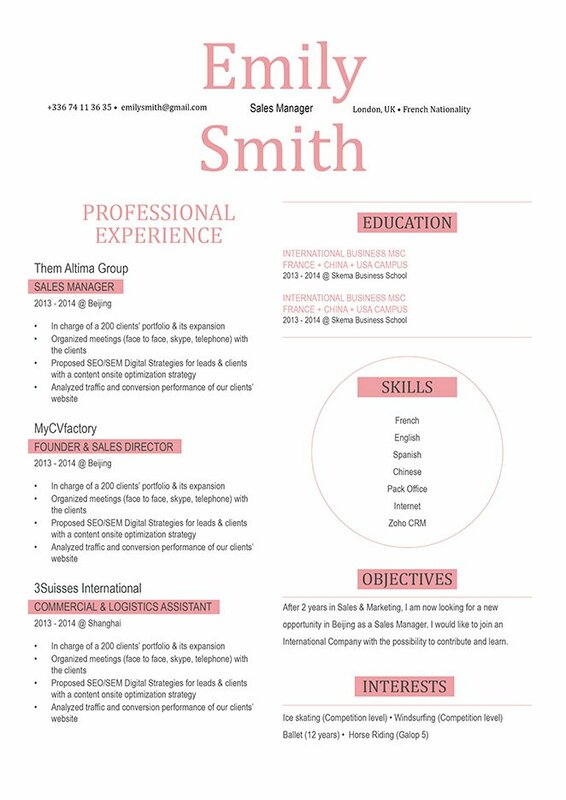 CV template to download "Influential"
The Influential Resume will effectively get the attention of your potential employer with its simple, yet eye-catching design! This professional resume template features a selection of colors and shapes which work perfectly to create a resume format that is applicable for many job types—applicants with a solid set of qualifications will greatly benefit from this resume template as all the information aligned to the job is written in a clear and comprehensive format. 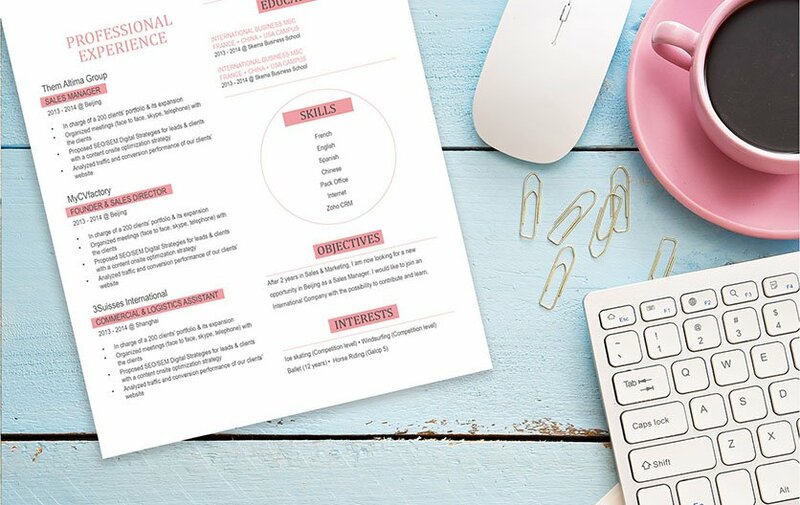 With the use of this resume template, you are sure to get that dream job! Match the need they have—Do your homework and review the company's job posting online or in the newspaper. Each position will usually have a brief description about the company and the position available. Take note of keywords in these ads, and match them to the bullet points in your resume. Chances are that some of these words might already be in your cover letter, but if you've missed some, make sure to add them in your resume. Writing your resume this way will make it a better match for the eyes of your potential employer and will greatly increase your chances of getting that job!